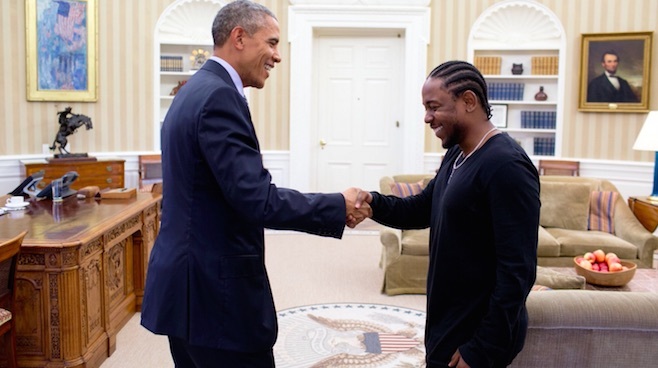 President Obama on : Drake or Kendrick? President Barack Obama has been a champion for the people ever since he first stepped into public service. Dubbed as the “peoples’ president”, the POTUS has weighed in on trends from time to time. His latest opinions shared during an hour long Live YouTube Interview of the President was not only very entertaining but thought provoking as well. The president made the revelation Friday during separate interviews with three YouTube personalities. One of his interviewers had also asked ahead of time for Obama to bring a meaningful item and talk about it. When asked, Obama pulled quite an assortment from his right pants pocket: rosary beads from Pope Francis, a tiny Buddha, a metal poker chip he said came from a bald biker with a handlebar mustache he met in Iowa in 2007, a Coptic cross from Ethiopia and a Hindu statuette of the monkey god Hanuman. 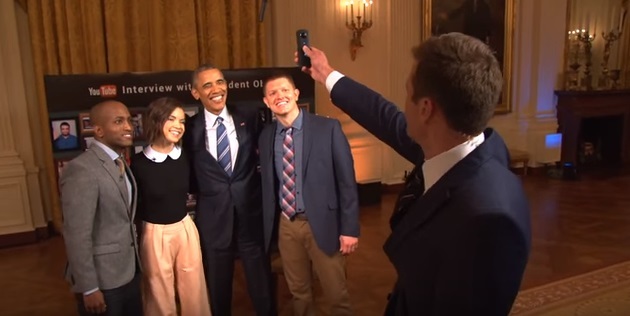 Obama has too many of the mementoes to carry all of them around “but I’ll pick out a few things…to remind me of all the people I’ve met along the way and the stories they told me,” he told Ingrid Nilsen of Los Angeles. The interviews were part of a continuing White House strategy to reach different audiences and keep alive discussion of themes from Tuesday’s State of the Union address. 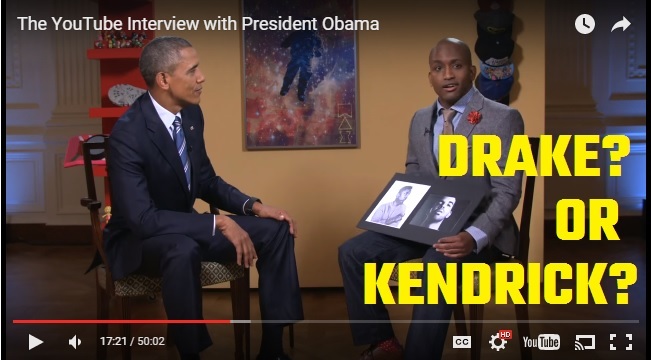 Obama was also questioned by Adande Thorne, a video game enthusiast from Orlando, Florida, known online as “sWooZie,” and Destin Sandlin, an Alabaman who is into science and makes educational videos. Sandlin, who said he holds a civilian job at the Department of Defense, asked Obama to describe the characteristics of “Obamium,” a hypothetical element named after him.